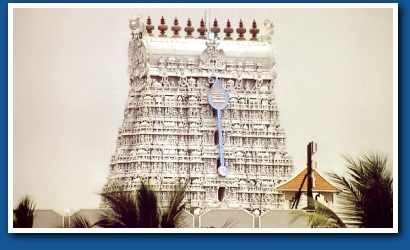 Thiruchendur or Thirucheer alaivai, a holy place near Thirunelveli, in Tamilnadu - South India, houses one of the most sacred temples of Lord Muruga and is the second Aarupadai Veedu . Saint poet Nakkerar, in his songs in praise of Lord Senthil Andavar, places Thiruchendur in the second place amongst the six battle places ( Arupadaiveedu ) that Lord Muruga has fought to win over evil. The various names of the presiding deity include Senthil Andavar, Shanmugar and Arumuga Nayinar.